LISTING YOUR BOAT FOR SALE WITH ONTARIO BOAT AND MARINE BROKERS FOR SALE IN WINDSOR, LEAMINGTON, HAMILTON, WHITBY, COBOURG, TRENTON, BELLEVILLE, KINGSTON, OTTAWA, CANADA. People wanting their home sold easily use real estate brokers. Boat owners wanting their boat sold easily use marine & yacht brokers. 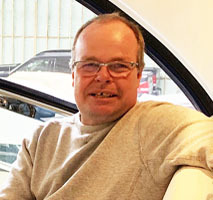 Have Our Team Of Experienced Boat Brokers Help You Sell Your Boat! we have been in the brokerage business since the 1980's and we co-broke with many brokers throughout the province. Listing your boat with us brings attention from many brokers. 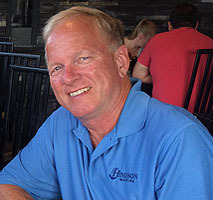 to discover why we can probably sell your boat faster than you can sell it yourself. Our photos are the largest found on any used-boat-for-sale website. This helps make our listings "Must See" boats. . View A Listing. here and on other websites using the photo that you send us as a "Coming Soon" listing. Simply email your photo & description using the form below. or complete the form below and he will call you. DON'T RISK MISSING A SALE ... by trying to sell your boat on weekends only. Boat brokers and boat "dealers" show far more boats to buyers during the week than on weekends ... which explains why the majority of the larger boat dealers open evenings on weekdays but close at 2:00 on weekends. Missing a sale during the spring selling season of the year may cause you to still own your boat next year after insuring the boat .... talking to buyers that cannot see your boat on weekends ... looking after it all summer ... and winterizing it again in the fall. next owner during the best selling season of the year. 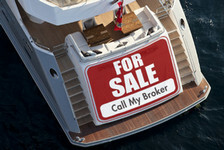 8 Reasons To List Your Boat With A Broker. Surveys prove buyers prefer to buy used boats from dealers/brokers rather than private sellers. 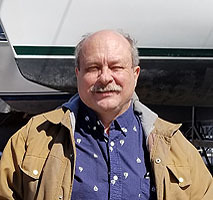 Many buyers that have seen boats on classified websites are disappointed with the condition of the boats and won't continue taking the time to even visit private seller boats. Sellers rarely have the time during the day to conveniently take the calls and return the emails required to attract buyers to their boat.
. Brokers can help people sell their existing boat so they have the cash from their boat sale to buy yours. Brokers can show your boat, negotiate a sale and close the deal while you are at work, enjoying time with your family or attending to chores around your home. Brokers get far more boat sales enquiries than private sellers because they have a variety of boats for sale and often know of new listings coming! Brokers post more photos and larger photos of boats for sale. The photos on our listings make our listings MUST SEE BOATS because they are larger than the photos on any other "boat-for-sale" website! We have a reputation that we want to protect so we only list good quality "turn-key" boats! Private sellers have no reputation to protect. Contact us to discuss how we can make selling your boat hassle free! Hamilton, Port Credit, Mississauga, Whitby, Cobourg, Trenton, Belleville, Napanee, Kingston, Ottawa, Smith Falls, Cornwall, Ontario, Canada.